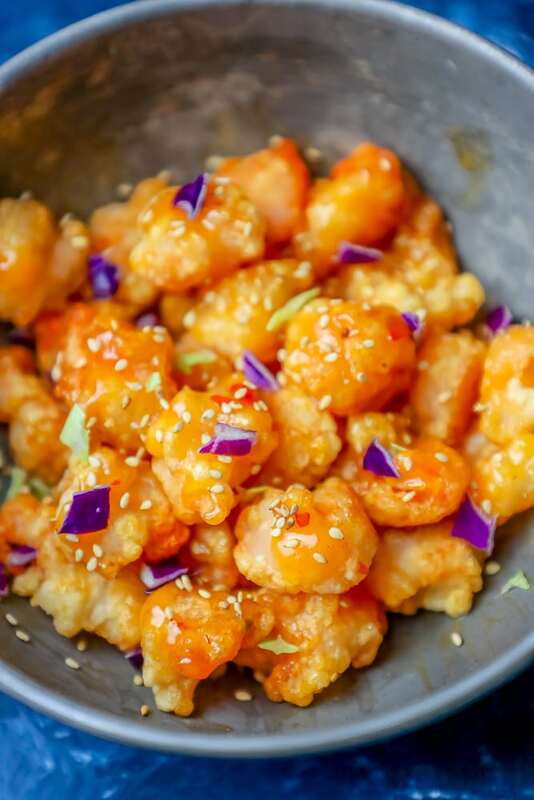 The Best Easy Bang Bang Shrimp Recipe Ever – easy and delicious sweet and spicy lightly breaded bang bang shrimp with sweet chili sauce and lightly fried shrimp that is a huge hit with the whole family. Tastes just like the Bang Bang Shrimp from Bonefish Grill – but even better in a fraction of the time it takes to eat out to dinner! 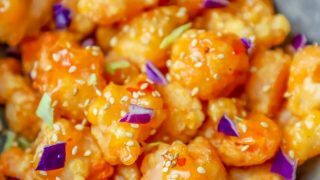 Low carb keto bang bang shrimp recipe included. If you’ve never been to Bonefish Grill, you haven’t had their signature appetizer – the bang bang shrimp. I love it alongside the Bonefish Pomegranate Martini or one of their other delicious cocktails – I swear, they have the BEST cocktails and appetizers! 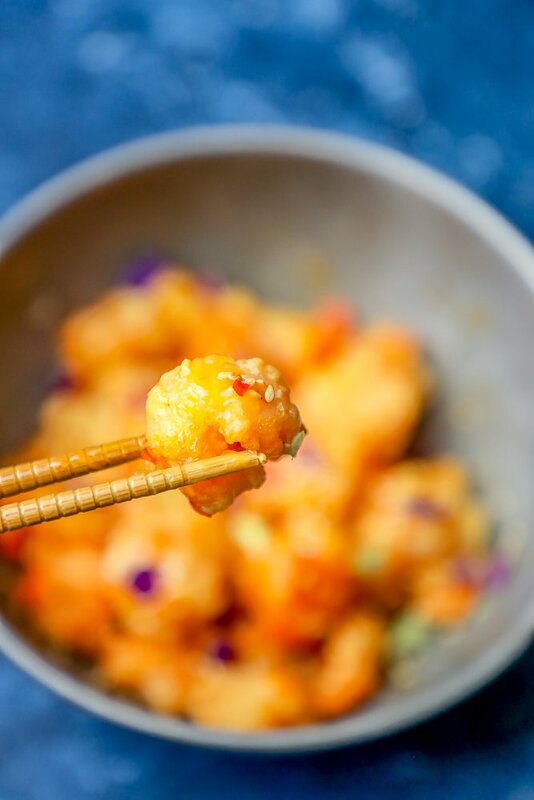 Bang Bang Shrimp is a spicy, sweet, and perfect lightly fried shrimp that is irresistible and totally addictive – and just so happens to be totally easy to make at home in a fraction of the time it takes to go out to dinner! 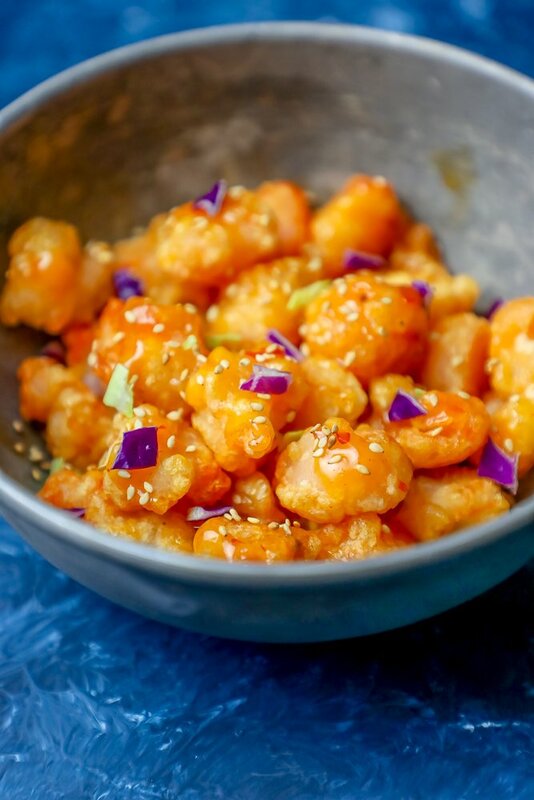 Bang bang shrimp is bursting with flavor from sweet chili sauce with a creamy thick mayonnaise-based sauce that goes perfectly with gently fried shrimp, thanks to a light cornstarch batter. Despite not liking mayonnaise, this dish is one of my all-time favorites – simple, hearty, and exploding with sweet chili and garlic flavor that is interesting enough for parents, but not too spicy for kids – so it’s a truly family friendly meal everyone can enjoy. 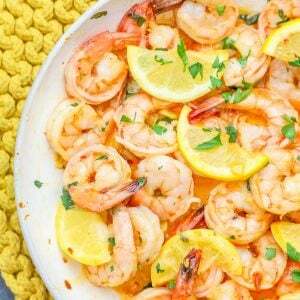 Since this shrimp uses cornstarch to “bread” the shrimp, it can easily be made low carb and is entirely gluten free (watch preservatives in your sauces to be absolutely sure you are avoiding gluten if you are celiac please) and works in a number of healthy eating plans. Bang Bang Shrimp is delicious as a main course, appetizer, or side dish – and works great with grilled vegetables, rice, or even over pasta for a dinner everyone asks for again and again. This insanely versatile family friendly shrimp recipe is fantastic in salads, tacos, wraps, and sandwiches, too! 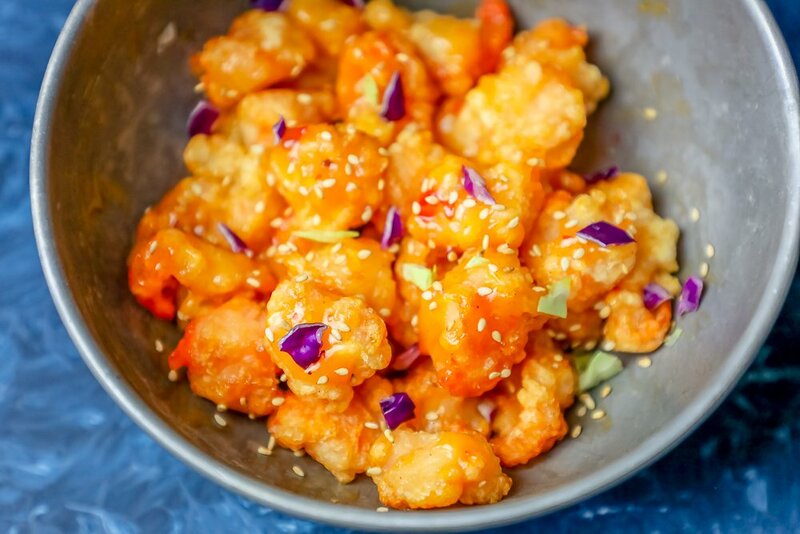 JUST TAKE ME TO THE BEST COPYCAT BANG BANG SHRIMP RECIPE ALREADY! 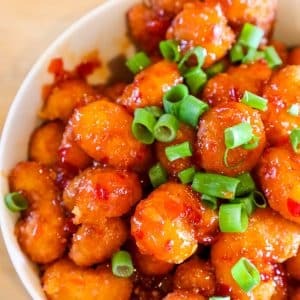 If you’d rather skip my (very helpful, i think) tips and tricks, essential cooking info, and similar recipe ideas – and get straight to this deliciously easy Bonefish Grill Copycat Bang Bang Shrimp Recipe – simply scroll to the bottom of the page where you can find the printable recipe card. 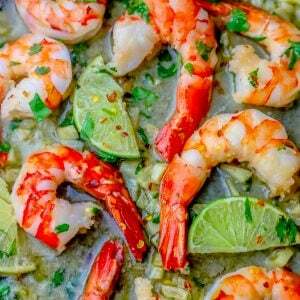 This recipe is lightning quick if using fresh peeled and de-veined shrimp – and can be made either in a deep fryer (my favorite can be purchased here – we love it! ), or with some oil in a dutch oven or any pot that is heavy and has tall walls to keep oil from splashing or splattering all over the kitchen. Otherwise, you’ll need just a few basic ingredients and tools to make this recipe perfect every time! To make this delicious bang bang shrimp work in a keto diet, there are a couple simple swaps you’ll need to make – but they still taste fantastic! Cornstarch can easily be subbed with xantham gum when frying for a low carb and keto approved swap – although, I have seen a few keto sources that allow for the use of cornstarch. 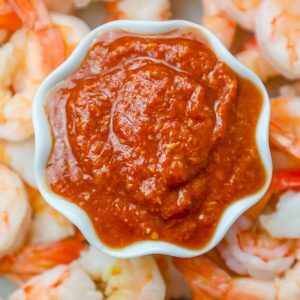 If you’re looking for a delicious alternative to sweet chili sauce while sticking to a keto diet – you’re in luck! It is really easy to make, and incredibly delicious! 2cloves garlic, minced or pressed. 1/8+teaspoon crushed red pepper flakes. 1pinch sea salt (real salt)to taste. For an easy, delicious, and spicy sweet shrimp recipe the whole family will love that is baked instead of fried, visit my BFF Aimee’s site to find her version of the Best Baked Bang Bang Shrimp Recipe Ever! 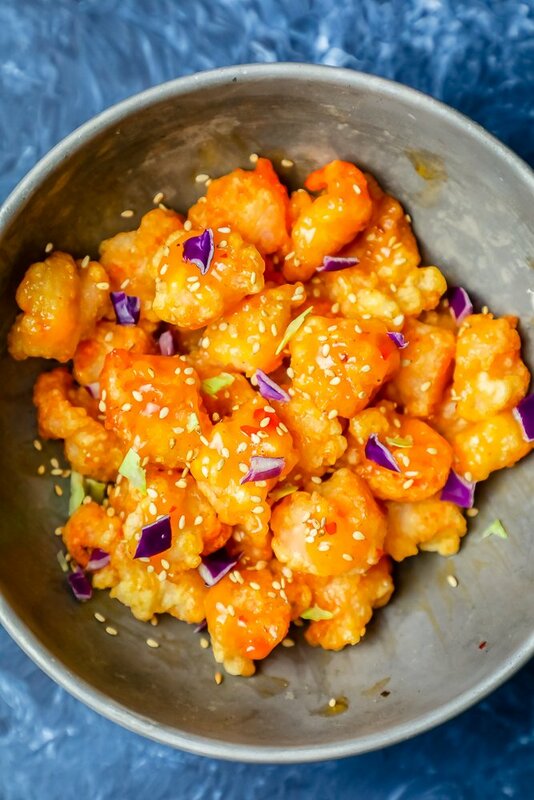 Her bang bang shrimp is simple, easy, and perfect – no deep frying needed for delicious Bang Bang Shrimp that tastes just like Bonefish Grill’s. If you love this delicious and easy bang bang shrimp recipe, please be sure to check out some of my other favorite family friendly shrimp dinners – simply click each link to find the easy printable recipe. Mix mayo and sauces for coating shrimp after it is fried. Heat oil in a deep pan (I prefer a dutch oven) or a deep fryer on medium high heat until it has reached 375 degrees. Fry the shrimp until lightly brown, stirring occasionally to prevent sticking together. 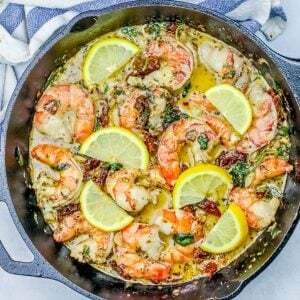 Remove shrimp from pan and drain shrimp on paper towel, carefully patting off excess oil. 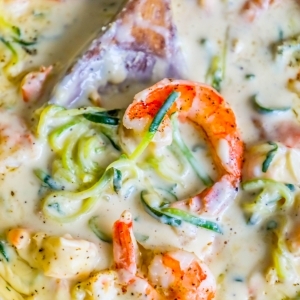 Put shrimp in a bowl and coat with the sauce. 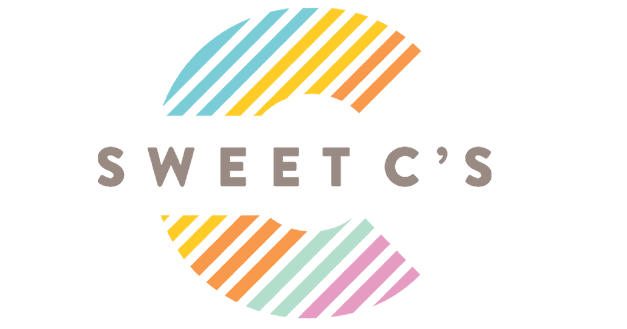 Serve and top with sesame seeds, purple cabbage, scallions, or other favorite garnish. Was in The Villages, FL 2 weeks ago and ate at the Bonefish Grill with friends. Wow, that Bang Bang Shrimp appetizer was out of this world, so good, so crunchy and tasty and of course we had two orders, one w/ the sauce mixed already and the other not mixed. That was the best appetizer that I tasted in that short 2 weeks visit. I will try to copy it at home.